Lesson 10: God Wants to Use ME! It is amazing that God, the great God who controls the universe, wants to use you and me to do His will. God will use any believer who is willing to be used and willing to prepare himself. If we want God to use us, we must do two things: (1) We must gain knowledge of the Bible, and (2) we must have daily fellowship with the Lord. The best way to obtain knowledge of the Bible is by reading it, studying it, and memorizing verses from it. The Bible is God's love letter to us. It is the most important book in the world. It tells us how we can know God and how we can please Him. As we read the Bible, we must depend on the Holy Spirit to teach us its truths. The Holy Spirit lives in every child of God, so He is always with us. Every time we open God's Word, let us pause a moment and ask the Holy Spirit to teach us. 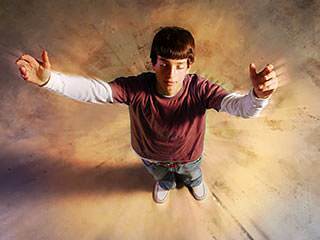 David's prayer is a good one for us: "Open my eyes, that I might behold wondrous things out of Your law" (Psalm 119:18). Begin reading God's Word today! The Gospel of John is a good place to start. Read a chapter or a portion of a chapter each day. Do not skip around. When you finish reading the gospel of John, you can start with the gospel of Matthew, and read through the whole New Testament. Mark or underline the verses that seem to speak especially to your heart. This will make your Bible even more valuable to you. A red or blue coloring pencil is best. A pen will "bleed" through the paper of most Bibles. When we are first saved, we are spiritual babies. God wants us to grow. To grow physically, we must have food for our body. To grow spiritually, we must have spiritual food. Our spiritual food is the Word of God. The Bible says, "As newborn babes, desire the sincere [pure] milk of the word, that you may grow thereby" (1 Peter 2:2). We grow spiritually by taking God's Word into our life. 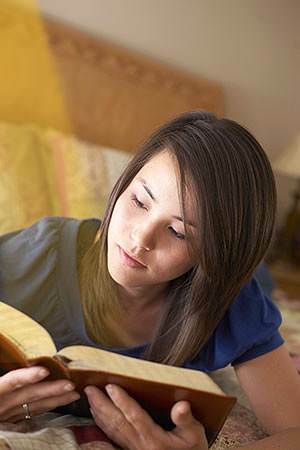 How do we take God's Word into our life? We take it into our life by hearing it and obeying it. The Bible says, "Be doers of the word, and not hearers only…" (James 1:22). 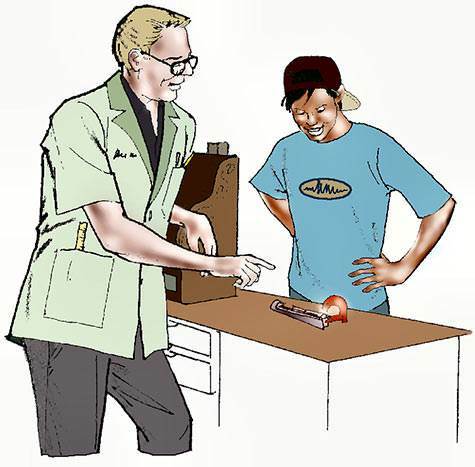 "How do I get my tools ready?" asked the young Christian. The older man replied, "Memorize Scripture! Memorize Scripture!" Always remember that it is God's Word that the Holy Spirit uses in the salvation of a person. The Bible says, "Being born again…by the word of God, which lives and abides for ever" (1 Peter 1:23). If you memorize Bible verses, you can speak with confidence because you are speaking God's Word. The secret of memorizing is repetition. If you say something over and over enough times, you will memorize it. 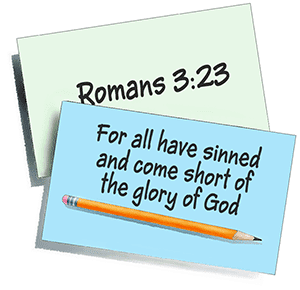 The best and simplest way to memorize verses is by writing the verses on 3x5 cards. On one side of the card, write out the verse you want to learn. On the other side, write the reference—the place where the verse is found in the Bible. Be sure to copy the verse and the reference correctly. Carry the cards with you and go through them as often as you can during the day. Look at the reference on each card and see if you can say the verse. Then check yourself by turning the card over and reading it correctly. Do this over and over again. Do not be satisfied until you can quote the verses and the references perfectly. When you have memorized these verses, you can add new verses. Every time you memorize a portion of God's Word, you are equipping yourself with another tool to use in serving God. To remember what you have learned, you must review often. You can add new verses each week, but be sure to review the verses you have already learned. Review! Review! REVIEW! Here are some verses to get you started. The secret of a strong Christian life is the daily Quiet Time. What is "the Quiet Time"? It is time spent alone with the Lord each day in the study of His Word and in prayer. Jesus said, "Man shall not live by bread alone, but by every word that proceeds out of the mouth of God" (Matthew 4:4). To establish a Quiet Time, you need to have a definite place, a definite time, and a definite plan. Find a definite place where you can be alone with the Lord. If possible, find a place with a good light and a table, where you can lay your Bible and write notes. Decide on a definite time. For most people the best time is the first thing in the morning. It is much better to meet with the Lord the first thing in the morning and get our heart in tune with His, than to come to Him at the end of the day with a long list of failures to confess. Great musicians always tune their instruments before a concert—not after it! "In the morning, rising a great while before day, He went out, and departed into a solitary place, and there prayed" (Mark 1:35). If the Son of God thought it was necessary to spend time alone with His Father, how much more should we! The first part could be for Bible study. Before opening your Bible, ask the Holy Spirit to teach you. Then read a portion of God's Word. It may help you to read it several times. The second part of your time can be spent thinking about what you have read. Ask yourself: What have I learned from this reading? Is there a promise I should claim? Is there a command that I should obey? What is the best verse in this portion? It would be very good if you kept a notebook to write down each day the thoughts you have. 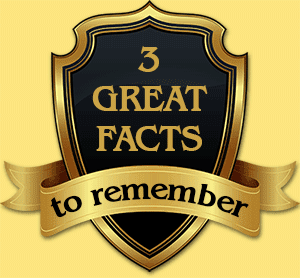 The third part of time could be devoted to worship, thanksgiving, and prayer. Worship is loving God and praising Him for what He has done for us. Thanksgiving is thanking God for His many blessings. Name them one-by-one! Prayer is talking with God and listening to Him speak to us through His Word and by His Spirit. Jesus taught us to call God "our Father." We should pray to the Father in Jesus' name. We have a heavenly Father who loves us and wants us to come to Him about everything that concerns us. 1. God wants to use me in His work. God will use any believer who is willing to be used and willing to prepare himself. 2. The more I know of God's Word, the more God can use me. Get your tools ready, and God will use you. Memorize Bible verses! 3. The secret of a strong Christian life is the daily Quiet Time. If the Son of God thought it necessary to spend time alone with His Father, how much more should we! "Father, I do love You and I want You to use me. With Your help, I want to begin memorizing verses and I want to have a daily Quiet Time with You and with Your Son. In Jesus' name I pray." Dan gave Beth a special gift. 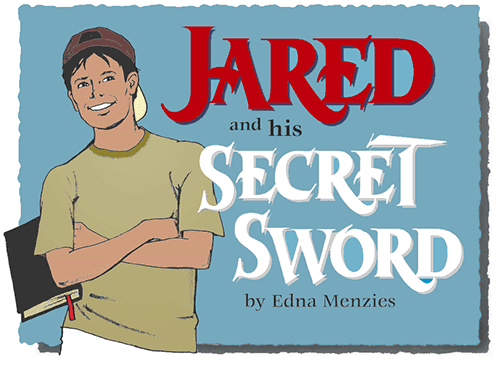 Jared forgot to do his homework, but explained to his teacher about his Secret Sword and the "Whatever Verse." The classroom became very still as the students waited for their teacher to respond. Mr. Norman stared at Jared, then he said, "Well, you can stay after school and do last night's homework as well as tonight's just in case you get busy praying again. AND," he said with a slight grin, "if you get an answer to your 'Whatever Verse,' let me know." Someone in the class snickered as Jared replied, "I will, sir. I have had one answer already." 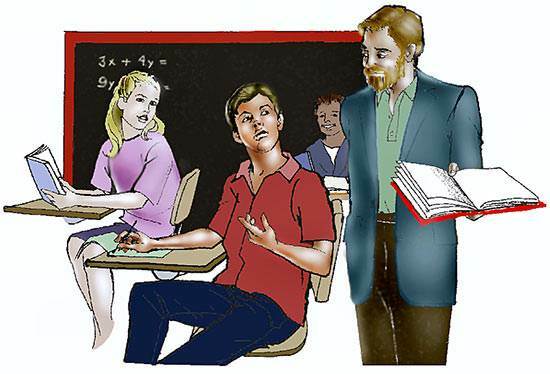 Mr. Norman picked up his math book and began the class. Jared was tired when he finished his math after school. He just waved to Beth and went home for his supper. When Jared finished, he went outside to put his bike away. Carlos was waiting for him. "Hi," Carlos said. "Can we go somewhere and talk? I want to ask you something." "Sure," Jared answered. "We can go talk in my room." Once inside, the boys sprawled on the floor and Carlos said, "Boy! I could not have talked to Mr. Norman like you did this morning, Jared. Were you scared? And why didn't you take my answers anyway? Everyone does it." Jared rested his head on his hands and looked at Carlos. "I wanted to use your answers, Carlos. But I remembered my Secret Sword just in time." "That's something else I wanted to talk to you about. Why do you call your Bible your Secret Sword?" Jared showed Carlos the bookmark Beth had given him. He showed him the verses and told him how he had been tempted to cheat. He went on to say that God had reminded him of the verse. "I knew Jesus did not want me to cheat, Carlos. That is why I gave your book back." "But were you scared to tell Mr. Norman?" Carlos persisted. "You know how strict he can be." "I was scared at first," Jared said. "But you know Jesus is living in my heart now. He helped me tell the truth, which was the right thing to do. After a bit I just wasn't scared any more. Jesus took my fear away." Carlos looked as if he was in deep thought. At last he said, "What I can't understand is, if Jesus helped you today, why didn't He keep you from getting angry about the flowerpots?" "I am sorry about that, Carlos," Jared said. "But just because we are saved does not mean we won't ever do anything wrong again. We still have our sinful nature inside." "What do you mean?" Carlos asked with a puzzled face. Jared smiled and began to explain, "Well, we are all born with a sinful nature that tempts us do wrong things. Even after we are saved, our old self will still want to do wrong. So we must remember that Jesus is living in us. He will help us to do the right things if we trust Him. I didn't understand that until my cousin Beth explained it to me." "That sounds like what Lisa has been telling me," Carlos admitted. "Mom and Dad have noticed a change in Lisa, but I keep thinking it won't last." "Oh, yes, it will, Carlos," Jared assured him. "The Lord Jesus gives us everlasting life when we belong to Him. He wants to help us choose right things instead of wrong. That doesn't mean we won't ever sin again. But when we do, we can tell Jesus we are sorry and He will forgive us and help us to go on again." "Didn't Lisa know that before?" asked Carlos. "No, she didn't. But now, even if she forgets and does something wrong, she will be sorry and she won't keep on doing it like she did before—and that goes for me too," Jared finished. Carlos sighed as he got up from the floor. "It sounds good, Jared, but I have to think about it. "I promised Alex I would go with him and the guys tomorrow. I'm not going to do anything with them after this. Of course I haven't told them that. I am getting tired of Alex bossing me around. After tomorrow I'm staying clear of him." Jared tried to persuade Carlos not to go. He even told him that Alex was planning to play a trick on him. Carlos shrugged and said, "We are going to fix up that old raft by the river. It needs a lot of work and Alex knows I am good with a hammer. I don't think we will finish tomorrow, so there won't be any chance of his trying it out on the river yet. When they do that, I don't plan on being around." The next morning was Saturday, and Jared was busy raking leaves and helping his father clean up their yard. He kept wondering about Carlos and wished he could go to the river to see what was happening. After lunch Jared's father sent him to find a part for the lawn mower. He went to several stores, but could not find the part. Jared's father told him as soon as he found the part, he could do what he wanted for the rest of the day. Jared was getting more and more frustrated. Finally, he stopped and prayed, "Dear Lord Jesus, please help me find the part I need. I want to find Carlos and make sure he is all right." When Jared went to the next hardware store, he showed the manager the part. The manager laid the new part on the counter and a big smile spread across Jared's face. "Thank You, Lord Jesus," Jared said with delight. Jared prayed on the way home, thanking God for His help, and asking God to be with Carlos. Will Carlos get into trouble again? Will Jared be able to find Carlos? Don't miss the next chapter!